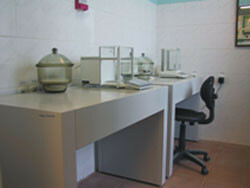 LLC "SPC Nauchpribor" offers Russian-made furniture for laboratories. The furniture is made using imported materials, complies with international standards and allows you to organize your workspace in the laboratories for various purposes, as for educational institutions, as for research centers. Furniture is suitable for use in different climatic conditions.